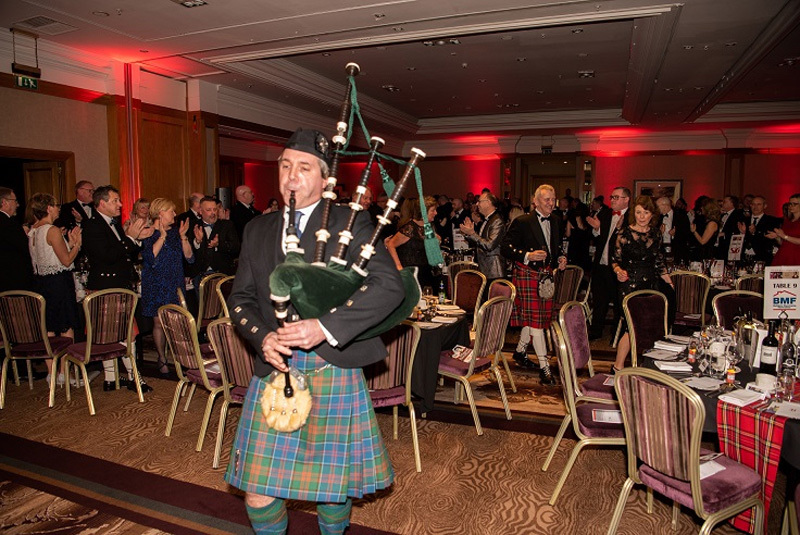 The Builders Merchants Federation (BMF) raised £4,625 to share between Variety, the Children’s Charity, and the merchant industry charity, The Rainy Day Trust, at its annual Burns Supper. The event held at the Dunblane Hydro Hotel, which celebrates the life and works of Scotland’s national poet, Robert Burns, is now an established fixture in the BMF’s calendar attracting 285 members from both sides of the Scottish border. John Newcomb, BMF CEO, said: “Once again the BMF’s Scottish region has organised a fantastic event and, in the year of his retirement, it is fitting that it took place in the hometown of Britain’s greatest tennis player, Andy Murray.